Hi! Cassandra here today waving at you from the turf of central Ontario, here in Canada. Excited to kick off the new solo DT member inspiration posts based on our monthly challenge. For this month's Emerald Creek Surf & Turf Dare, I chose to take on the surf with an under the sea Warmest Wishes card. 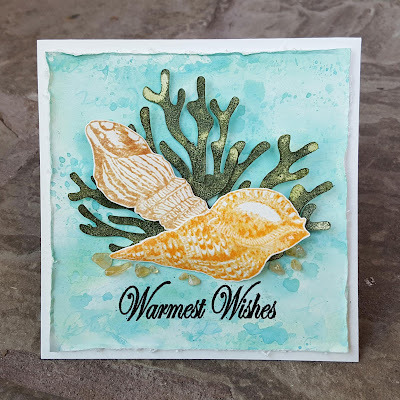 Using Distress Oxides, Distress Ink, and the Kimilese 3 stamp, I had fun experimenting to make my water background. Some coral, shells and stones clustered together provide a layered focal point. To dive into more details, be sure to drift by my blog... puns totally intended! A quick brag about my team. I love them, I feel they are the best and since all of them are on other awesome teams, I know others agree, that these ladies are the best. Today, I want to add a note about the amazing Cassandra. 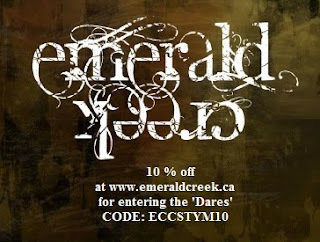 She never stops turning out awesome Emerald Creek Projects. she is gifted in being able to take the smallest element of a company and turn it into the main focus and feature. 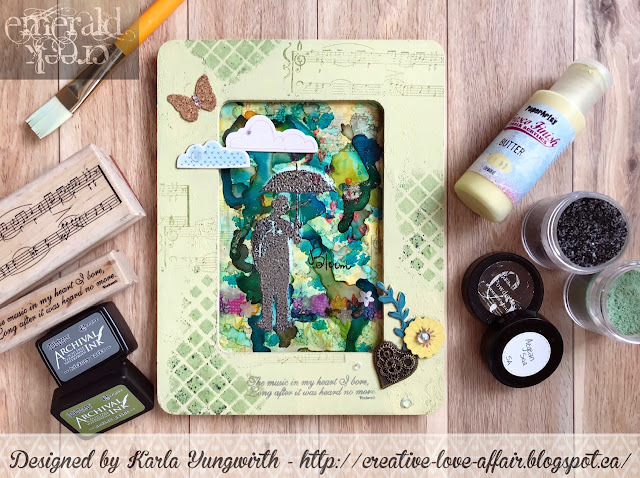 Her projects are well designed, and she can create for the simplest group all the way to a killer technique driven class, like the one she featured at Creativation! Don't just follow her here, check out her other DT work for Magenta too! What a beautiful Surf and Turf interpretation, Cassandra! I love your background, and your shells look amazingly realistic! Tried to leave some love on your blog, but can't find the post. Hugs! Love the background effect and how it makes the shells pop! Great job. I love your take on the Surf and Turf challenge, Cassandra! I wish I could make cards as beautiful as this one!